Fisheries minister Per Sandberg was impressed during his visit to Fredrikstad Seafoods. 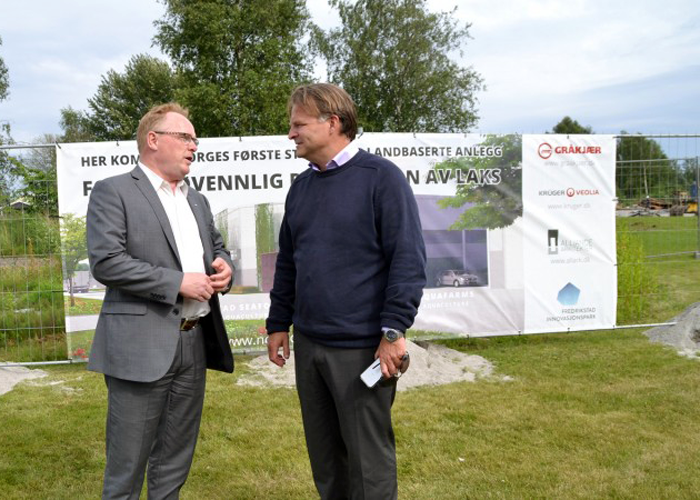 As iLaks has previously has written, Fredrikstad Seafoods is ready to start construction of the first commercial land-based facility for Atlantic Salmon in Norway. Today, the Norwegian Fisheries Minister visited the site. It was a very interested fisheries minister that arrived at Øraveien 2, in Fredrikstad. – This is a very interesting project. I am happy that they are now finally in a position to get started as many have been waiting for this. I have been told there are challenges related to land requirements, water and costs in land-based production. It is a pleasure to see how Fredrikstad Seafoods has found a location where everything seems to be a perfect match, says Fisheries Minister Per Sandberg. The new regulation that was released June 1, that entails that land-based permits can now be given on an on-going basis, has now resulted in construction start at Fredrikstad Seafoods. The history of Fredrikstad Seafoods goes back to 2013. The wait has been long. Sandberg confirms that it will be much easier to get permits in the future. Only recently did the company get at green light to start construction. Already we can see big changes on the site that is to become the world’s largest land-based salmon facility. A number of heavy machines have started clearing the site in preparation for construction start. – We have plans to grow at this site. We have invested in two large grow-out modules and more will come in the future, says CEO Erik Heim in the mother company Nordic Aquafarms. There are several reasons why we are investing in land-based production, but more than anything it is important to be an early mover if Norway is to retain its position as a leading salmon nation. Denmark is ahead of us with regards to technology in land-based, but we believe that Nordic collaboration will be key to also developing this segment in Norway, says Heim. He points out that land-based farming is not only interesting for salmon production and points out the potential for more species. – We have come far with production of Yellowtail Kingfish in our Danish operation. We produce our own fingerlings and we are seeing growth to one kilo only after 6-7 months. This illustrates the potential in land-based farming. I think we will see a very interesting development in the Skagerrak region in the years to come, says Heim. He says that technology development has accelerated the development pace in the past 2-3 years. Costs are coming down, while risk is being reduced. – Demand is on the rise, pricing is good and sustainability is becoming increasingly important. We have a high focus on water treatment, both for water going into the production and for water that we release from the facility. All waste products are being handled in a sustainable manner. Our production will be free of sea lice and our brackish water resources have many benefits, including reduction of early sexual maturation, says Heim. 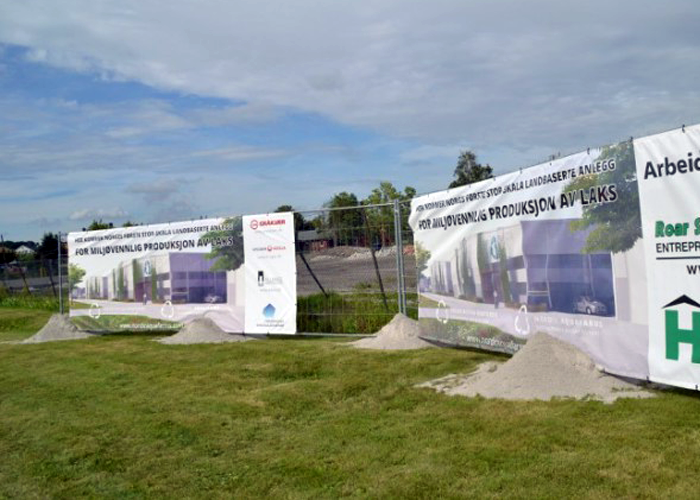 The operation in Fredrikstad will employ 16 people in the first phase. I will follow the developments here in Fredrikstad with great interest and I believe they have a good chance of success, says Sandberg.